You may be tempted to shout, “Of course not!” But think again. 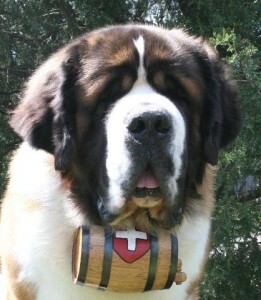 Beethoven was a popular 1992 film about a giant St. Bernard that was named after the legendary composer. The film found such a large audience that a sequel was produced and titled Beethoven’s 2nd. If your children aren’t encountering classical music, they may well think that “Beethoven” is the name of the dog or the movie in which he starred. Nor is classical music the only genre of music your children and grandchildren may be missing. Jazz, classic film scores, and pieces from the Great American Songbook are also likely to be ignored. There are reasons for this and it is essential that you understand them so that you help members of your family experience the joy of real music. Today the classical music world is in turmoil. Major symphony orchestras have simply been dissolved for financial reasons. The legendary New York City Opera filed for bankruptcy. These are events that would have seemed unthinkable only a few years ago. 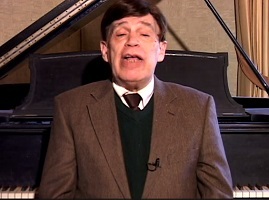 While public broadcasting stations broadcast classical concerts on occasion, classic musicians almost never perform on commercial television. A few classical superstars are well-known to the public as celebrities, but by and large, classical music has become a niche appealing to an increasingly aging audience. Classical music is simply irrelevant to the pervasive pop culture. The result is that many in the classical music audience developed a dislike for modern concert music and actually try to avoid hearing it performed. They will go to great lengths to achieve this, arriving late or leaving early if a modern work is on the program. There are producers of classical music concerts who actually tell visiting artists, “Don’t perform anything written after 1920.” Since virtually all of the music written by living composers was written after 1920, this effectively closes the door of opportunity for anyone trying to write symphonies, operas, or chamber music today. While the classical music world seems to be withering on the vine for lack of funds, the same cannot be said for the world of popular music. Beginning in the late 1950’s with the advent of rock ‘n’ roll, continuing in the 1960’s with the so-called “British invasion,” rock record promoters essentially took over the world of popular music and turned it into a multi-billion dollar colossus. With a fortune to be made in selling recordings to teenagers, these promoters generated enormous pressure in every genre of music imaginable. Composers of film music were pressured to produce scores that could appeal to a huge teenage audience. Broadway producers scrambled to present musical theater productions that could be perceived as “contemporary,” This usually meant that they were looking for so-called “rock operas” that could appeal to the same audience. Jazz musicians were privately conflicted about the advent of rock. Some saw it as a threat to real jazz and recognized the rock stars as charlatans who typically knew four chords and couldn’t sing without massive amplification and groups of gyrating backup singers. But others were quick to seize the commercial opportunity to jump aboard a commercial bandwagon and hence “jazz-rock” was born. Today, young audiences interested in popular music are likely to be listening to rock, pop, or rap, with an occasional country recording thrown in for good measure. So while classical music is directed at an increasingly smaller and self-styled elite audience, popular music has abandoned all pretense of artistry in pursuit of the fast buck. This situation has been made more egregious by critics and academics who want to be perceived as contemporary and are quick to lend their credentials to the latest fads. What are the genres of popular music that are in danger of fading into oblivion? Labeling musical genres can be tricky and frequently inaccurate. Jazz is an American musical treasure, essentially produced through simultaneous composition and performance. Many of the finest jazz musicians have been classically trained, but there are countless classical artists who cannot improvise a note and can only play what has been put before them on a printed page. There was a golden age of film scoring, beginning in the 1930s and running through the 1960s. This doesn’t mean that there haven’t been fine scores written since then, but the music of the golden age is often released today on CD by so-called boutique labels in small and limited editions. During the first half of the 20th century, with work continuing into the 1960s, an incredibly gifted group of composers and lyricists created what we have come to call “The Great American Song Book.” Their works found a home on Broadway with the creation of a distinctly American musical theater, in musical motion pictures, and in the mythical street address known as “Tin Pan Alley.” Well-crafted melodies bursting with musical expression and sophisticated lyrics were the hallmark of these musical pioneers. In today’s world of digital downloads, I-Pads, smart phones, and mobile devices of every type, what passes for music is often simplistic amplified noise accompanying crude and occasionally obscene lyrics. But this is the throbbing sound of the pop culture. Too many teachers have fallen prey to the notion that to capture the attention of their students, they need to communicate with them on their own level and hope that they will discover other types of music as they mature. There are teachers, let alone students, who show no signs of maturing. If your children and grandchildren are introduced to the best classical and popular music early in their lives, they will be provided with a standard for comparison. As they grow, they are far less likely to fall prey to ghastly influences in the age of MTV. You can do this for them and discover a treasure trove of new music that can impact your life as well. All it takes is a sense of resolve to discover the joy of music together. So when your children (and the children they may have one day) hear the name Beethoven, they will first think of the composer after whom the St. Bernard was named.